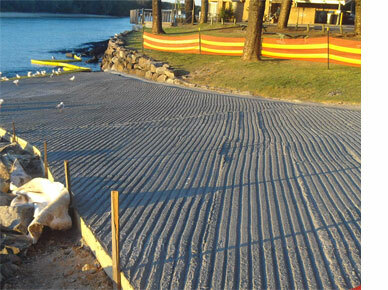 AN AUSTRALIAN INNOVATION, EMESH BY FIBERCON UPCYCLES PLASTIC TO DELIVER INNOVATIVE REINFORCED CONCRETE. 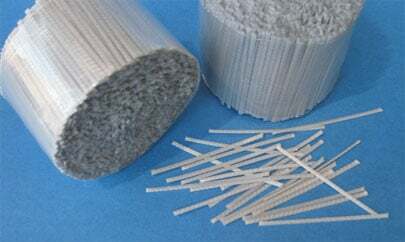 SMALL RECYCLED PLASTIC MACRO POLYPROPYLENE FIBRES ARE ADDED TO CONCRETE TO REPLACE STEEL FIBRES OR STEEL REINFORCING MESH. 100% RECYCLED PLASTIC IS A 90% REDUCTION IN CO2 COMPARED TO STEEL MESH. THE FIBRES ARE MANUFACTURED IN AUSTRALIA. Emesh Fibres by Fibercon represent the next generation of innovation for standard virgin plastic fibres in concrete. Emesh is simpler, greener, safer and more cost-effective than current alternatives. Our product is sought after for a range of applications based on green ratings and technical performance. 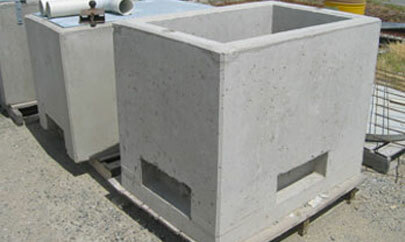 Emesh Precast offers many advantages, especially for smaller products. 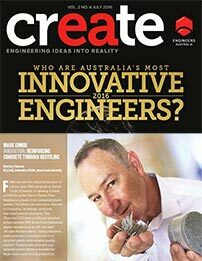 Winner Engineers Australia Mark Combe - 60 of the Most Innovative Engineers in Australia. "Community Section."